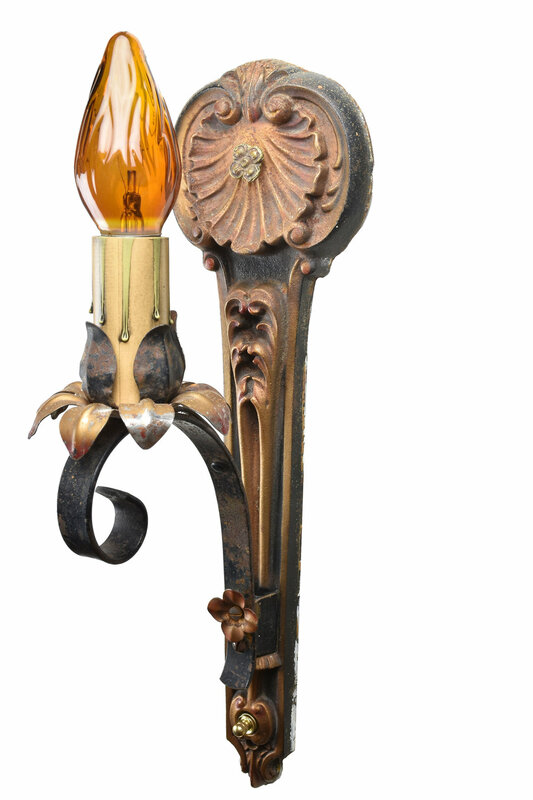 These Moe Bridges sconces feature an intricately detailed floral design and lovely polychrome finish. 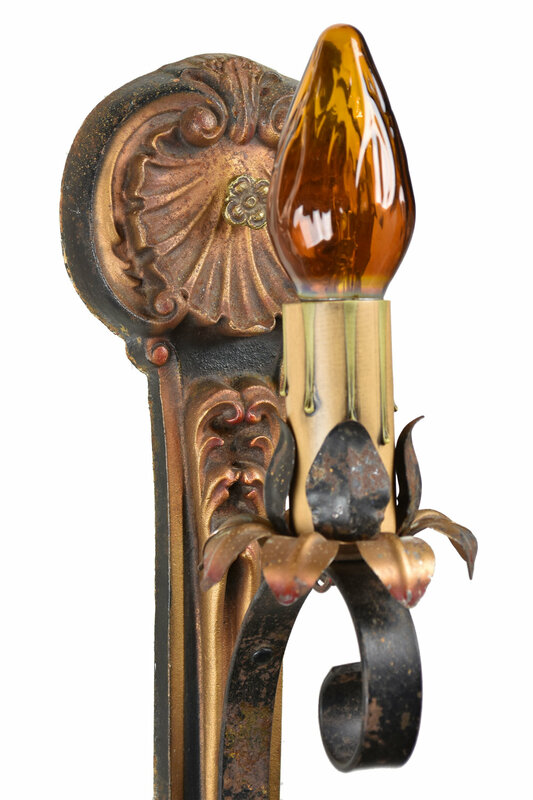 Unique metal leaves surround the base of the candle and a brass button adorns the iron backplate. Brothers Henrik and Ole Moe founded the Moe Bridges Company in 1919 in Milwaukee, WI, where it was prominent until 1934 when it was acquired by Electric Sprayit Company. 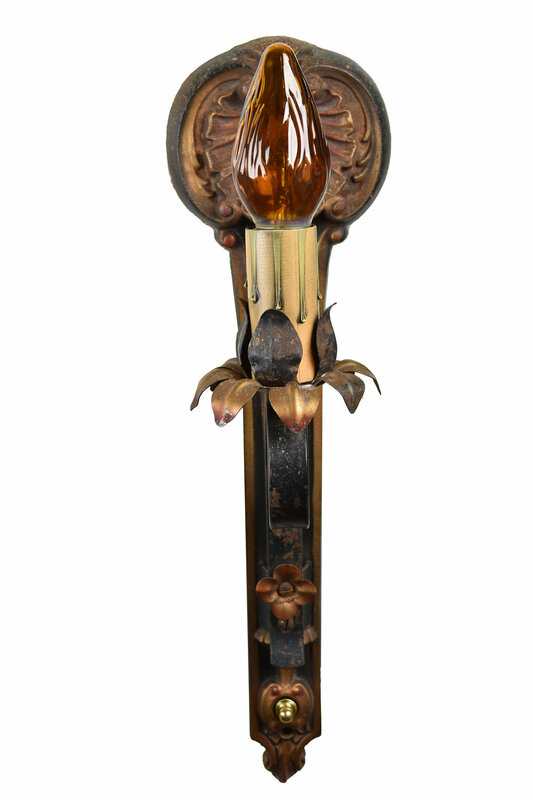 Due to the short life of the Moe Bridges Company, light fixtures bearing its name are relatively rare. Moe Bridges specialized in reverse-painted lamps, which were painted on the inside. The designs often featured landscapes with forest or country scenes, and a water element. Products were typically signed on the shade of the light and the base, if it has one. Be sure to include the Product ID AA#48128 when making your offer.